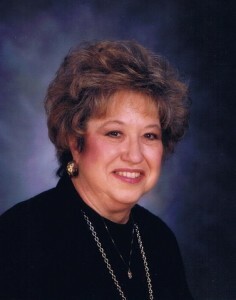 Caroline “Yvonne” Ingle passed away in Searcy, Arkansas on Monday, November 16, 2015, at the age of 73. Vonnie is survived by her children, Scott (Heather) Kingston and Tina (Jim) Smith both of Cabot; three grandchildren, Robert Kingston, Jay Kingston, and Kassidy Smith. She was preceded in death by her husband, Jack Ingle and her parents, I.B. McClain and Evelyn McClain. Vonnie enjoyed spending her time shopping and visiting with friends. She loved celebrating the holidays with her family. After living in West Virginia for over 20 years, she returned home to Arkansas where she retired from work as a document examiner with the State of Arkansas. Visitation is scheduled for Thursday, November 19, 2015 at Pleasant Ridge Baptist Church in Hazen, Arkansas from 10:00 to 11:00 A.M. The funeral will immediately follow visitation at 11:00 A.M. with burial at Walter’s Chapel Cemetery. I have known Yvonne for at least 60 years. She was a good friend to my sister and me. We had some good times together before marriage and children entered the picture. I will always remember her.